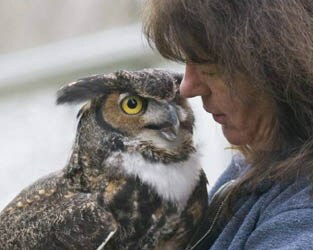 A wildlife rehabilitator since 1991, Peggy Hentz brings enthusiasm and comedy to all of her presentation topics. She is the Founder/Director of Red Creek Wildlife Center, Inc. and a member of the Pennsylvania Rehabilitation and Education Advisory Council. She is the author of the “Wildlife Capture and Transport Manual” which has been accepted by the Pennsylvania Game Commission and New Jersey Fish and Wildlife as the states’ guidelines for people permitted to respond to wildlife emergencies, and “Rescuing Wildlife, A Guide to Injured and Orphaned Animals” published by Stackpole Books.